I thought it might be fun to try something new for Valentine’s Day this year. 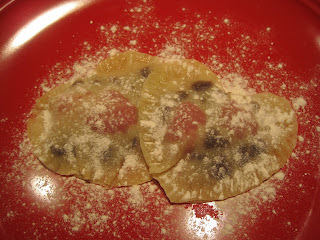 Since I’ll be busy tomorrow during the day getting ready for a class to teach I wanted it to be a simple dessert to go with my Valentine dinner. I lucked out this year because the weather in Missouri will be in the high 50s tomorrow. A huge difference from last week and the past month where we’ve had single digit temperatures with tons of snow. 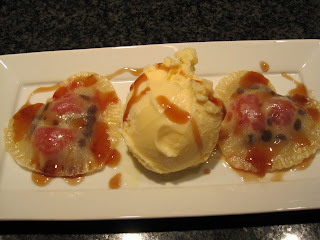 So to celebrate I’m going to grill tomorrow evening (Valentine’s Day) and make this special dessert. It’s a little off the wall yet fun and unique. The best part is it’s a cinch to make. I made this and plated it several different ways which I’ll show below. I have to say I truely enjoyed all three versions but, my favorite was when I drizzled it with both the Raspberry Balsamic Reduction and Chocolate Sauce. A simple dessert with simple ingredients. What could be better except of course tasting it. Make as many or as few as you like. Place wontons on a smooth surface. 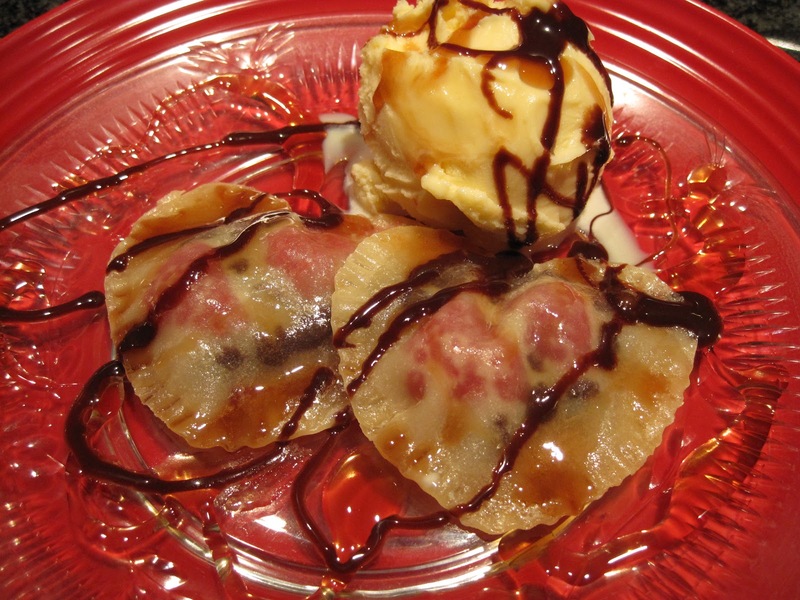 You will need 2 wontons to make a single Chocolate Raspberry Wonton Heart. 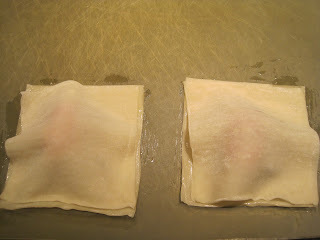 Spread melted butter around the edges of one of each pair of wontons. On the wonton with butter, place 2 raspberries and a small handful of chocolate chips or desired chocolate. 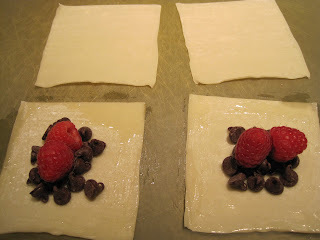 Place other half of wonton on top of the wonton with raspberry and chocolates trying to get the edges to meet as closely as possible. 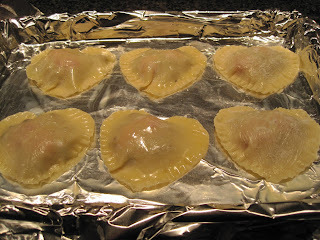 Take a heart shaped cookie cutter (optional but cute) and cut the wonton. If necessary use the tip of a sharp paring knife to cut through the wonton and carefully remove the excess leaving the heart shape. Then with the tip of a fork press down the edges of the heart shaped wonton to seal. Set on a foil lined tray that’s coated with the butter. Brush melted butter over the tops of each wonton heart and if desired, sprinkle with granulated sugar. Continue for each wonton. Place in preheated 350 F. degree oven for approximately 8-10 minutes. Remove from oven and place 2 wontons on a plate with ice cream and drizzle with Raspberry Balsamic Reduction and Chocolate Sauce or Powdered Sugar. Serve while still warm. 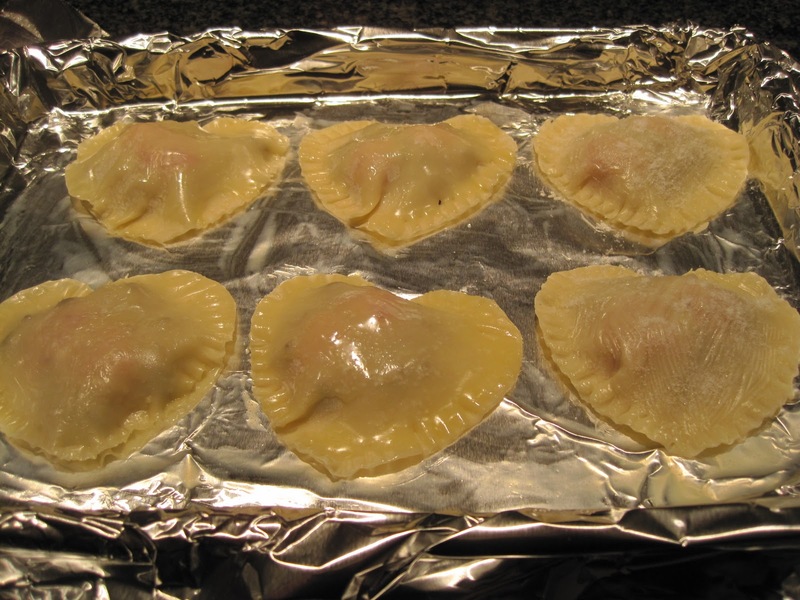 The wontons can be prepped ahead of time and left in the refrigerator until just before serving. Then place in the oven. These couldn’t have been simplier to make. I purchased ready-made Raspberry Balsamic Reduction at a store here in town however, you can make some or omit it and just use chocolate sauce or the powdered sugar. very nice idea! I wanna try it!!!!! Do you think I could use frozen raspberries? I have a bag of those already – they are delicious in my morning oatmeal! I don’t see why not. I might let them defrost first before using them so that they don’t add any extra moisture to the wonton. Apranzoconbea they’re so simple to make. I think they’d be great as well adding chocolate that had a thin filling of raspberry or another flavor to go with the fresh berries. Wow, these look as fabulous as they must taste! And with lots of variations possible. YUM. 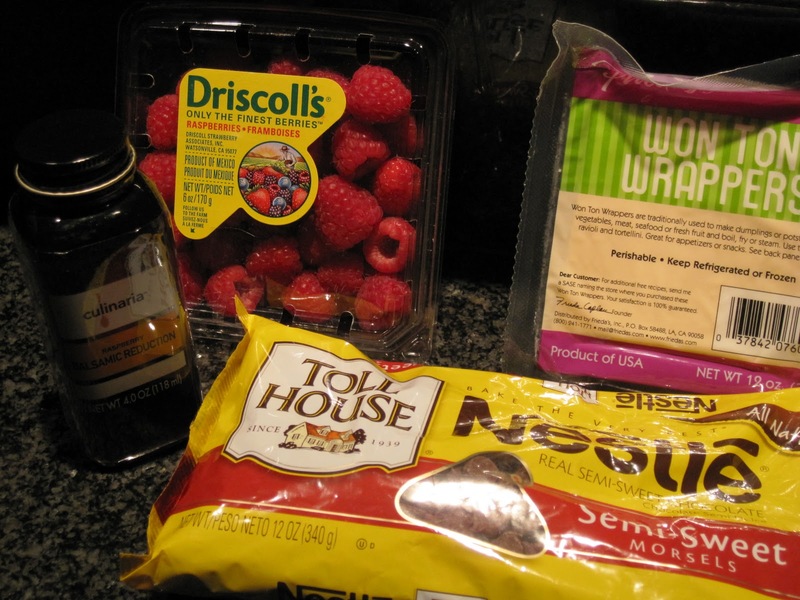 Thanks, Maria, for your suggestion of using frozen raspberries in our morning oatmeal. They are delicious and couldn’t be easier to make. 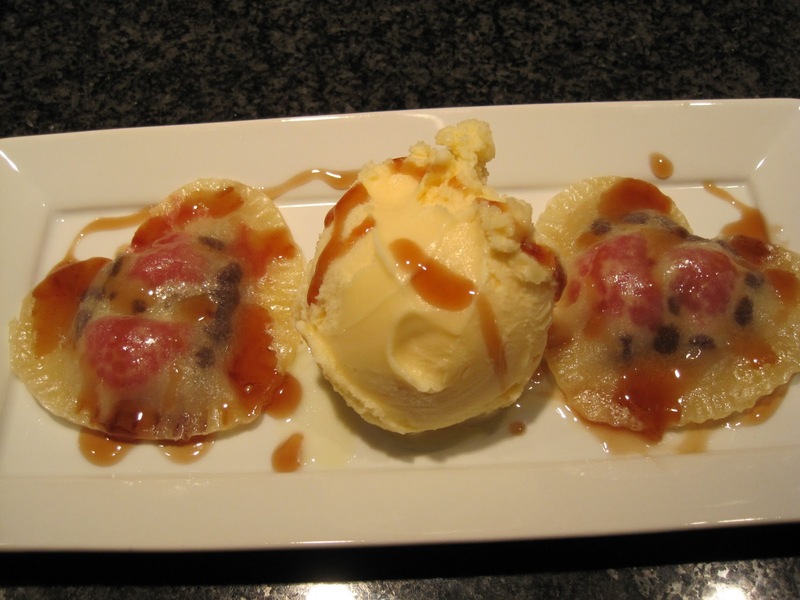 A fun dessert anytime, not just for Valentine’s Day!